A plant that has been in and out of favour since first introduced in the Victorian era today's penstemon cultivars are hardier than those of earlier eras. Also known as Beard tongue, penstemon also make a good cut flower. 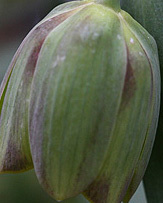 The species P.hartwegii is the parent of many many modern cultivars which have larger flowers and are a little more tolerant of frosts than others. 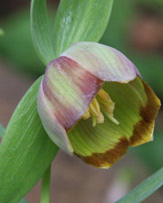 P.Alice Hindley is a popular cultivar that will reach nearly 1m in good conditions, an upright plant with very attractive tubular mauve flowers. 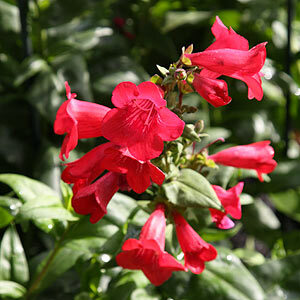 Specialist nurseries offer a range of penstemons both as seed and seedling plants. 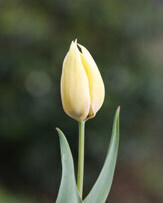 Larger plants in containers are also available, however the smaller seedlings seem to grow well and are cheaper. These are as easy plant to grow from division or from cuttings and in the UK with the danger of frosts killing penstemons off many gardeners take cuttings in early autumn. You simply need about 10 - 15 cm of non flowering material. A little bottom heat will help, but frost free is essential. Overwinter in a greenhouse or cold frame and by spring the cuttings should show good root development. If you can apply a little liquid seaweed fertiliser to help promote root growth. 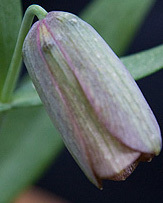 Sun to part shade, penstemon tolerate a range of soil conditions. A humus rich moist but well drained soil is best. Penstemon can be deadheaded to promote a second flush of flowers but cutting back hard is best left until late winter to early spring to provide some protection from frosts. We fertilise with a liquid seaweed fertiliser and top dress with some mulch and well rotted manure and compost. 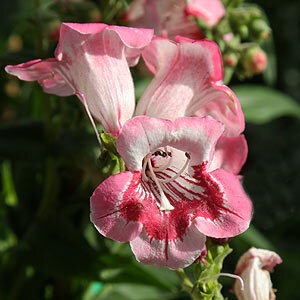 Penstemon - Small nursery selling unusual perennials for your garden. Ring for appt.